My current struggle, as someone who switched to Aperture in January (but continues to maintain / not-delete their 26,000 pic iPhoto library), is do I want to go all the way and use and have only Aperture? Or do most consumers / pro-sumers use Aperture to edit and export, yet continue to store their final library in iPhoto. I use a Canon 20D and Canon 50D, and only in the past year - during which time I started shooting RAW+JPG, and evenutally just RAW. Hence, my hesitation about keeping all finals in iPhoto. I have a question related to Wayne's question above. Can I keep all my photos in Aperture and yet access them as "referenced files" when I open iPhoto and still get all the functionality of the new iPhoto11 without actually transfering the photos into iPhoto? 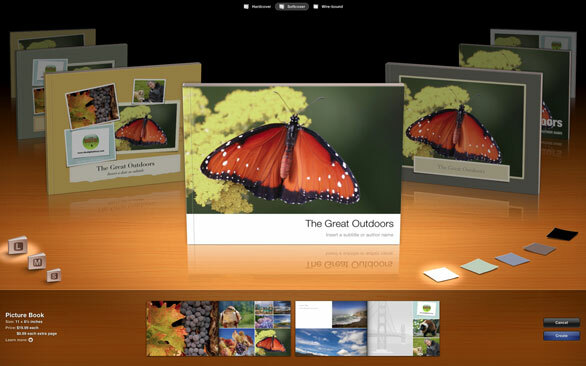 The Photo Browser is one of the advantages to the Mac ecosystem for photographers. You can "browse" you iPhoto library from Aperture, your Aperture library from iPhoto, or either library throughout the Snow Leopard OS. Decide how big of images you want to move around via this system, and set that as your Preview size in Aperture. Check out my Lynda.com title if you need more details on this. I switched from iPhoto '09 to Aperture 3 a year ago. As far as I can tell, Aperture has everything iPhoto has and then some. So Kevin, what are you referring to when you write "...still get all the functionality of the new iPhoto11"? ?